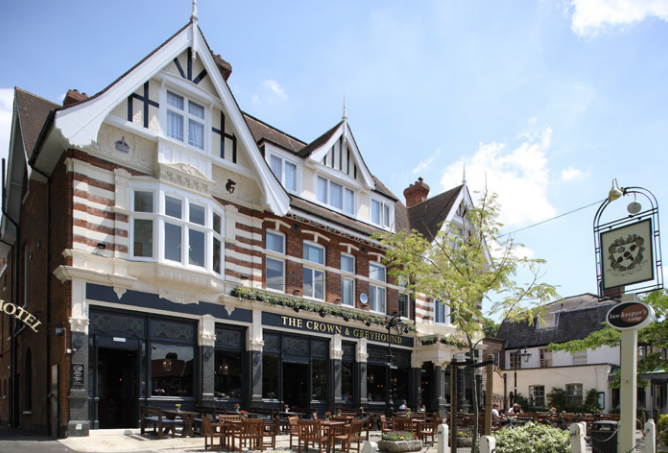 Located a little north of Dulwich park and in Dulwich Village The Crown and Greyhound is hard to miss. 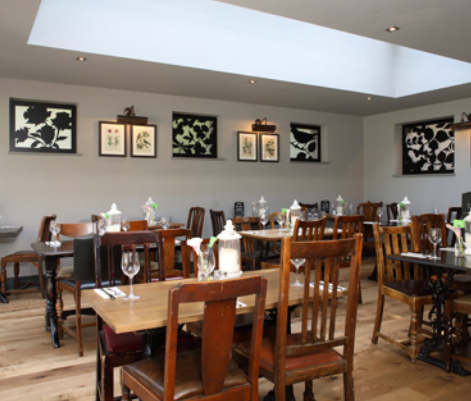 It closed in 2014 for refurbishment, but 'The Dog' has now reopened in all its glory. 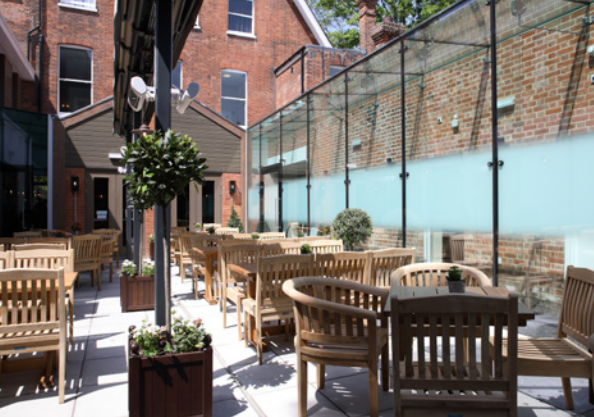 The original building dates back to 1900 but the new extension has added a sleek conservatory-style restaurant, a split-level outdoor patio, and 20 stylish bedrooms. All that said, the original part of this pub is still at the heart of this multifunctional establishment. It's a beautiful old wood-and-glass affair not dissimilar to the regenerated Half Moon down the road in Herne Hill. The bar boasts a reasonable if fairly mainstream selection of ales, with more extensive options on bottle. Cider and wine fans are also well catered for. 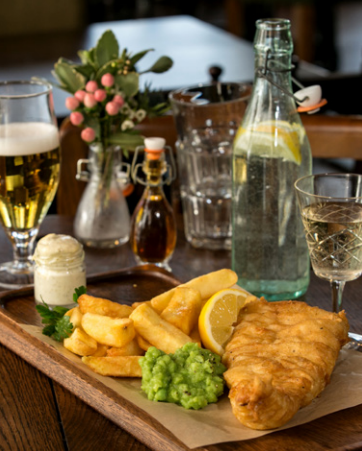 The food menu covers everything from the traditional fish and chips, sausage and mash to avocado and papaya salads and asian style fish cakes. It hasn't been given an overwhelming endorsement over on Trip Advisor, but our grub was perfectly yummy. 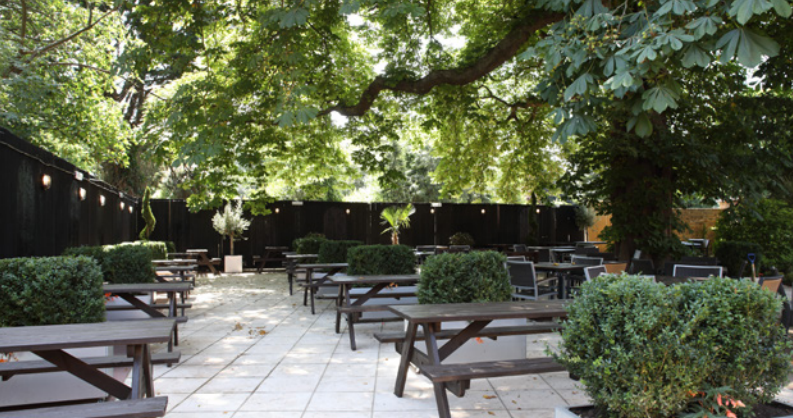 With a large beer garden and seating out front, this place comes alive in the summer months as the best al fresco venue in Dulwich. Ah crap, another place that can't afford plates.